Building a bigger email list, driving more traffic to your website, and tracking your success so you can continually improve are goals most website owners have. After all, strengthening your brand, converting more customers, and increasing sales are the way to success. However, managing multiple marketing tools to get all of that done can be exhausting, let alone expensive. But what if I told you I knew about a collection of marketing tools that were designed to push traffic to your site, build a following, and report your successes to you every step of the way? Better yet, what if I told you it was free? Welcome Sumo. When the team at Sumo wanted to increase their own newsletter following, they starting creating, and using, this extensive set of marketing tools. With its success, they then decided to share these tools with website owners everywhere. Plain and simple, they want to help you grow your website and become successful, just as they did, using this collection of marketing tools that are oftentimes too expensive to be bought separately. If this is something of interest to you (and why wouldn’t it be?! ), keep reading to find out what makes Sumo so great. 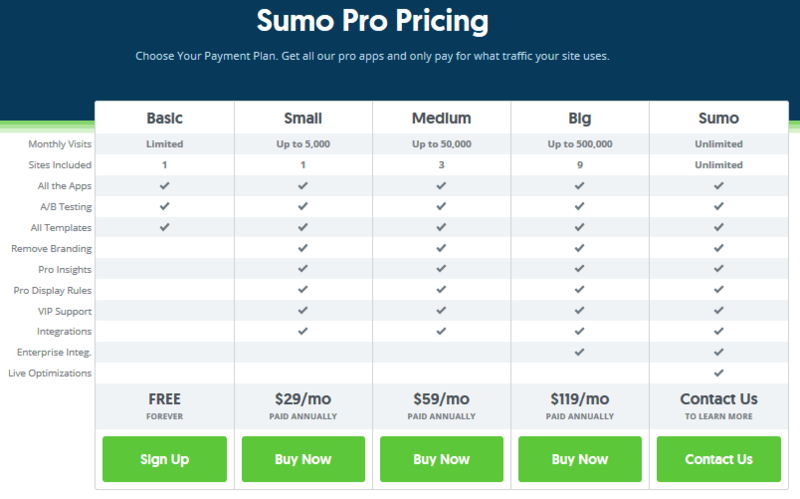 By the end of this review you will have knowledge about every tool Sumo provides website owners for growing their business, pricing options for those with larger sites, and how you can get help in the case you are stuck and don’t know what to do. So, let’s get started, you have a website to grow! Garner interest in your business using the following set of Sumo tools designed to bring more people to your website on the daily. 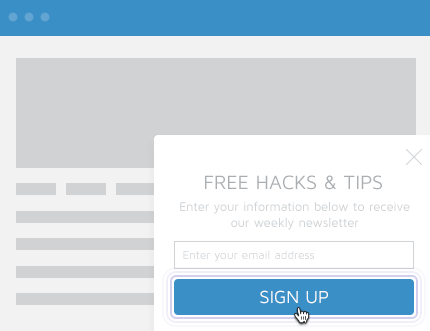 Claiming to be the most advanced, yet easiest to use email capture tool on the internet today, Sumo’s List Builder tool lets you create beautiful pop-ups that are professional, engaging, and effective. GO PRO – For those interested in the Pro version of Sumo, enjoy a drag & drop form builder, A/B testing, pre-designed templates, and seamless integration with your favorite email service provider. Display a full screen call to action to your site visitors once they click on your website to encourage them to subscribe right from the get-go. Moreover, ask them to explore your blog, check out your products or services, or anything else you want to get potential customers to act on. 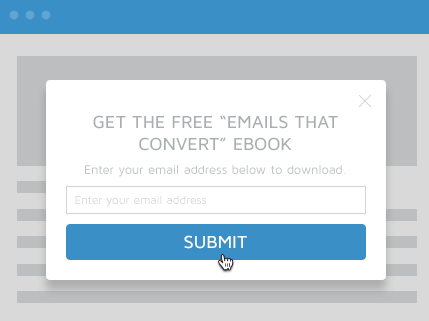 GO PRO – The Pro version of Sumo’s Welcome Mat lets you change the background to an image, GIF, or video, assigns different mats to different pages, provides access to A/B testing, and removes all Sumo branding. 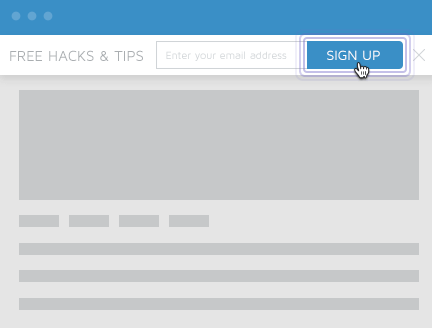 For those who want to forgo the “pushy” pop-up technique and be a little more subtle about building an email list, there is the Scroll Box tool. For example, start by simply asking your site visitors to sign up upon finishing your post or scrolling to the bottom of your product description. 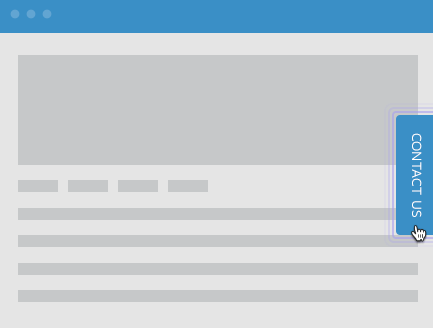 GO PRO – Access advanced template displays and targeting rules, A/B testing of styles and copy, brand removal options, and more using the Pro version of Scroll Box. Placed atop your website simply reminding site visitors to subscribe is the main goal of Sumo’s Smart Bar tool. Moreover, you can also encourage further exploration of your website, a social share of their favorite content or product, and basically anything else you wish because the Smart Bar acts as a cool CTA tool. GO PRO – A/B test different options, choose from 15 exclusive Smart Bar designs, access more display rules, and take away all branding with Smart Bar Pro. 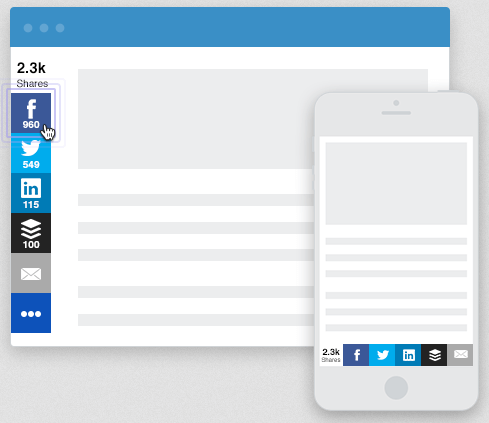 Drive up to 20% more visitors to your website using Sumo’s highly customizable, mobile-friendly, and desktop optimized sharing tools. 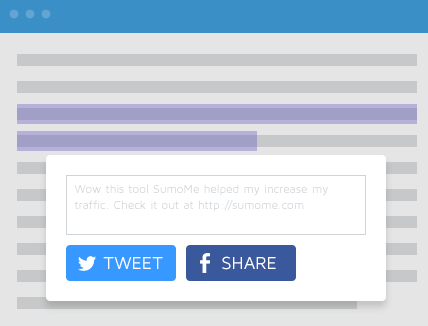 Get your site visitors to want to share their favorite content, products, and services with friends and family with Sumo’s “stupid-easy”, built-in, social media buttons. GO PRO – If you are looking for a little more, like brand removal, stat downloads, and advanced customizable mobile preferences, go with the Pro version of Sumo’s Share tool. 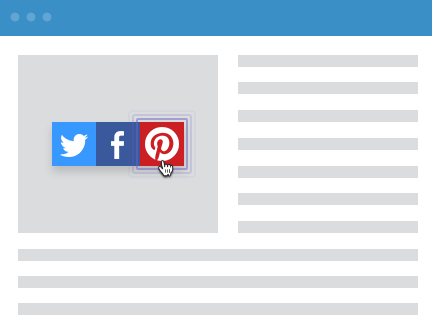 This neat feature allows site visitors to hand pick their favorite parts of your content, highlight it, and share it on Facebook or Twitter so family, friends, co-workers, and even strangers can see the very best of your website. GO PRO – Remove the blue tab and all Sumo branding and receive 24-hour VIP support for any issues you have while using Highlighter Pro. Sumo is all about making your images count. This means making it super simple for visitors to share your website’s images, which is notorious for being a difficult task to accomplish. GO PRO – Remove branding, receive technical support, and maintain an even more professional look using Sumo’s Pro version of Image Sharer. Knowing how your target audience behaves while visiting your site, whether your content is engaging enough, and how many people visit you on the daily, are all doable using Sumo’s tracking tools. 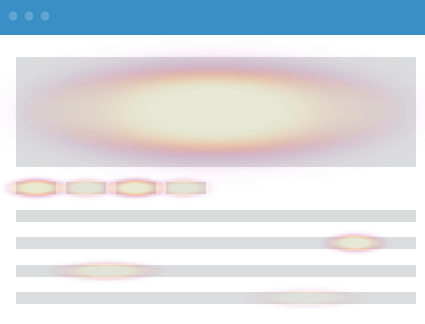 No marketing toolset is complete without heat map functionality. Find out exactly where your interested customers are clicking on your website to assess the navigational success of your site’s design. GO PRO – Record more than 1,000 clicks per campaign on a single page and remove Sumo branding, all with Heat Maps Pro. 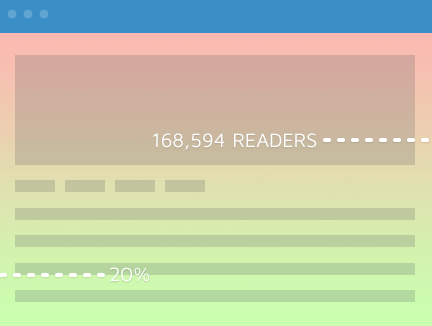 See just how much of your content visitors read using the Content Analytics tool. 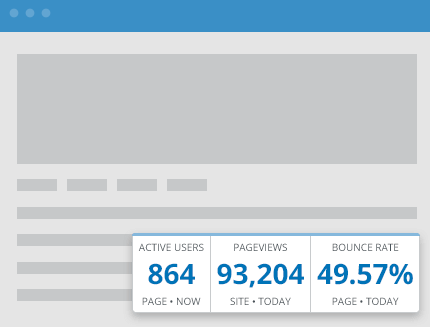 View your website’s Google Analytics in the Sumo dashboard to prevent having to switch back and forth between places to monitor your site’s metrics. Staying in touch with site visitors, especially those interested in becoming customers is a must. 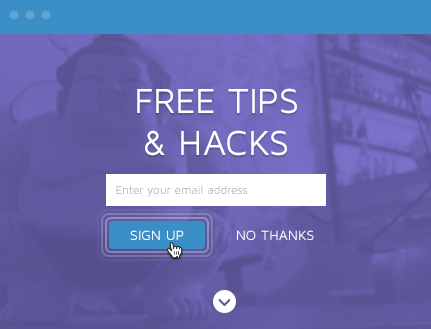 Take advantage of Sumo’s Contact Form tool and make it easy for people to get in contact with you. GO PRO – Implement advanced display rules, remove branding, and enjoy VIP support for any problems you encounter when you go Pro. The developers of Sumo have gone to a lot of trouble to make sure you can troubleshoot any issues while using the Sumo tools. In fact, they have an extensive documentation section where you can find answers to some of the most commonly asked questions regarding the installation of Sumo, use of individual tools, and even your account information. As far as support is concerned, Sumo has a contact form for those who need help. However, keep in mind that VIP support is only available to those with Pro versions of Sumo. For those using the free version of Sumo, notice that every single Sumo App discussed above comes included. However, it is only after you begin paying annually that you can access the exclusive Pro features. Altogether, Sumo arms you with the necessary tools to start converting site visitors into life-long customers. And what’s great about this, is you do it directly from your own website, you don’t have to have any coding knowledge, and it’s free! With every kind of marketing tool needed to build a bigger email list, drive more traffic to your website, and track your successes in order to make improvements where needed, Sumo is an amazing option that is not to be dismissed. If you want to grow your website, just as the team at Sumo did using these very same tools, give the free version a try. You never know, you might be opting in for the higher price points sooner than you think as your website begins to grow exponentially in a small amount of time! Have you ever used Sumo’s toolset for building your website? If so, what was your favorite tool? I would love to hear all about it in the comments below!